Leptin, the "I'm full" hormone, signals your brain that you are full. The more fat on your body, the more leptin resists and refuses to tell your hypothalamus that you are satisfied. Leptin resistance is a serious barrier to weight loss. Leptin was first discovered in 1994 by J.M. Friedman and colleagues. According to Dr. Scott Isaacs, M.D., author of "The Leptin Boost Diet" and "Hormonal Balance," there is no effective test to measure leptin levels or resistance, but other tests or markers are used to determine leptin resistance levels. Take your blood sugar level after a 12-hour fast. A regular morning reading above 95 mg/dL is suspect of leptin resistance. Take an AC1 test at your next doctor visit. 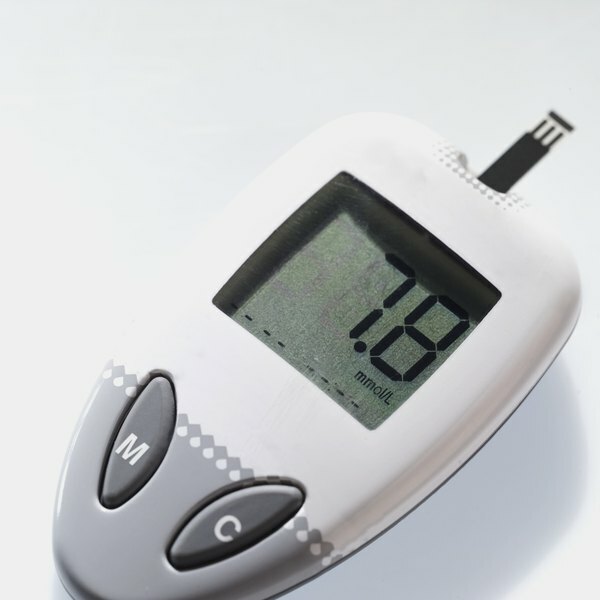 AC1 is a three-month average of your blood sugar levels. An AC1 above 5.6 suggests leptin resistance. Be proactive and ask for tests for Plasminogen Activator Inhibitor-1(PAI-1), homocysteine and C-reactive Protein (CRP). PAI-1 is a fat cell protein that increases blood clotting and cardiovascular disease. Homocysteine also causes blood clots and cardiovascular disease. CRP measures inflammation, another leptin resistance indicator. Leave a urine sample for a urine microalbumin test. This test will detect protein in your urine and leptin resistance. Check your cholesterol and triglycerides. Leptin resistance is linked to high LDL (your bad cholesterol), high triglycerides and low HDL (good cholesterol). Measure androgen levels. Men will have low testosterone and women will have high DHEA-S and high androstenedione levels. Get a thyroid test. A simple blood test called the TSH test is an indicator of thyroid issues tied with leptin resistance. Look at your liver by using an ultrasound test. Fat on the liver is an indicator of leptin resistance. Ask your ob/gyn for a pelvic ultrasound to detect ovarian cysts and endometrium on the uterus lining. Women with these symptoms often have leptin resistance. Check your weight. Where are you carrying your body fat and how much is an indicator of leptin resistance. Diabetics and leptin resistant people quickly gain weight in the middle, and have high body fat. Check your sleep. Fatigue and insomnia are symptoms of leptin resistance. Monitor your blood pressure. Readings above 130/85 indicate leptin resistance. Look at your skin. Skin tags, stretch marks and acanthosis nigricans (skin discoloration or darkening around the neck, armpits and folds that look like dirt but will not wash off) are often missed signs of leptin resistance. Ask your doctor about poly cystic ovary syndrome (in women). Symptoms of PCOS are facial hair growth, acne, fertility problem and abnormal menstrual cycles. These are also symptoms of leptin resistance. Do not use the information in this article in place of consulting with your doctor. Lisa M. Russell is a writing professor and an instructional designer consultant. She teaches at Kennesaw State University and Ga Northwestern. She has a Master of Arts in professional writing from KSU. This published author is interested in eLearning and instructional technologies. Can a Low-Carb Diet Raise Cortisol Levels?